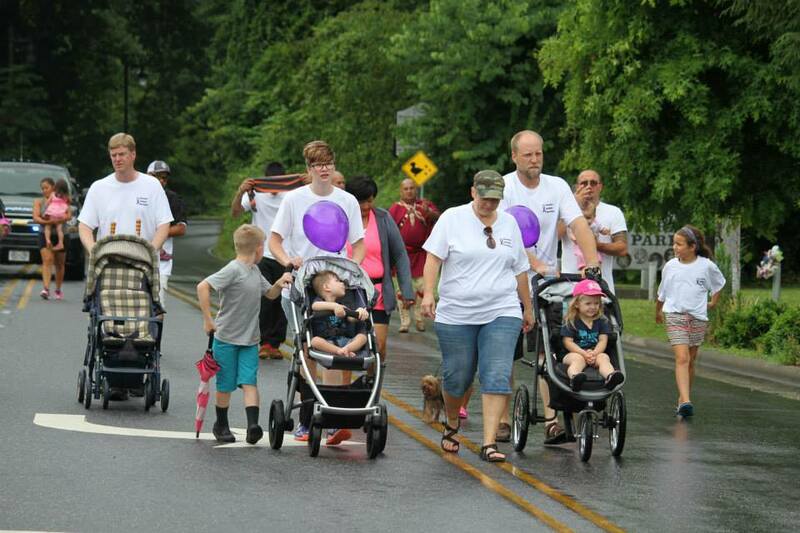 The Purple Warrior Foundation was established to raise awareness and provide support to members of the Eastern Band of Cherokee Indians and their families living with Epilepsy. The Purple Warrior Foundation, founded in 2013 by former Miss Cherokee Taylor Wilnoty, started as an avenue to help educate EBCI tribal members about Epilepsy. She made it her platform to bring awareness and education to the Tribe and fight the stigma against those who may suffer from this disease. The Purple Warrior Foundation has recently became a non-profit foundation with the goal to provide education to the local community and funds for families that may need extra help related to treating Epilepsy. In April of 2013, Taylor planned and hosted the inaugural Epilepsy Awareness Walk Cherokee and began a Facebook page dedicated to providing information about the disease, local and national Epilepsy events, and as a community forum for people and families impacted by the disease. In 2017, Taylor set out to take the organization to the next level including full non-profit status and through the selection of a Board of Directors. The Purple Warrior Foundation hosts an abundance of fundraisers & awareness projects throughout the community. We visit different schools to talk about Epilepsy & seizure safety, travel to Washington D.C to take part in the National Walk for Epilepsy Awareness, and host our own annual walk in Cherokee, NC. The Purple Warrior Foundation, the first foundation of its kind on the Qualla Boundary is dedicated to serving enrolled members and their families impacted by Epilepsy. The foundation is comprised of a team of individuals who share their passion for community service and the cause of our organization. We have garnered tremendous support throughout the Qualla Boundary for the cause with an outpouring of support and participation in events we host. This organization is growing, and we appreciate the support of our community in our efforts to fulfill our mission. Since 2010 there have been a total of 263 patients that have gone through the Cherokee Indian Hospital with some form of Epilepsy.